For me, the answer is in Bunn’s emotional accessibility. To young guitarists raised on flamethrowing displays of technique (usually electrified) Bunn might sound unambitious. But he has a country-blues depth of feeling: his simple phrases come from someplace that belies his birthplace — Freeport, Long Island, perhaps twenty-five miles from where I am now writing and certainly miles away from the Mississippi Delta. His blues phrases are plain-spoken, logical, affecting. But he also has a distinctly urban swing: if you had Teddy Bunn in your rhythm section, you hardly needed anyone else. And I am always trying to consider what my students might have heard before — and how my frankly antiquarian tastes in music will strike them. To get to Charlie Christian, they have to get past the “Swing Era” in the person of Benny Goodman, although I suppose some of them could go directly to Jerry Newman’s recordings of Christian, uptown. And to get to Django, they have to make a detour around Grappelly and the Quintet. 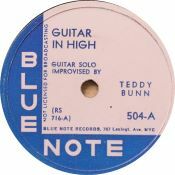 A place to find out some more about Teddy Bunn is Mike Kremer’s CLASSIC JAZZ GUITAR site, http://classicjazzguitar.com/aboutus/about_us.jsp, the source of the images here. During his lifetime, everyone knew about Teddy Bunn. Sammy Price called him for the Decca “race records” sessions of the late Thirties; he was a charter member of the Spirits of Rhythm, also accompanying Ella Logan and Red McKenzie; he sat in with the Ellington band in 1929; Mezzrow and Bechet made good use of his talents, as did Hot Lips Page, Clarence Profit, Willie “the Lion” Smith, Johnny Dodds, Jimmy Noone, and Spencer Williams. 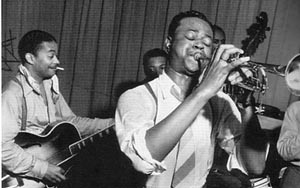 Alfred Lion and Francis Wolff made him part of their early Blue Note sessions and gave him a four-song solo date of his own. Later on, he pops up (now playing electric guitar) with Lionel Hampton, Hadda Brooks, and others. Unfortunately, he didn’t get much attention in the Fifties, and a combination of poor health, early rock ‘n’ roll, and gigs in Hawaii kept him out of the public eye as far as jazz was concerned. I do recall a late interview (done by Peter Tanner for JAZZ JOURNAL, if memory serves me) where Bunn talked about his older recordings and was thrilled to hear them again. I don’t want to overstate Teddy Bunn’s place in the history of jazz. 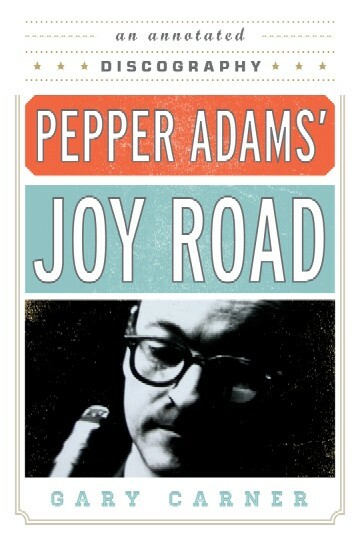 He did most often find himself playing the blues, or playing thirty-two bar songs with a deep blues flavoring. His solos tended to be variations on simple motifs, and his later playing had lost some of its spark, its inventiveness. When he took up the electric guitar, his identifiable acoustic sound was blurred, and his solos sound rather familiar. But in his prime he was a remarkable musician, and I look forward to the day when one of my students (or former students) says that hearing Teddy Bunn was a marvelous — even if not life-changing — experience.